Annual performance reviews are controversial. Some people praise them in public, but most hate them in private. For starters, they are a waste of time — that’s why many companies are ditching annual reviews. Also, research shows that they make employees feel anxious and depressed. The worst part? Formal reviews don’t necessarily improve people’s performance. However, my point is not “ditch your performance reviews.” Let me explain. Let’s review why performance reviews are not working. And, most importantly, what you can do about it — regardless if you end up ditching performance reviews or not. A study showed that most people hate performance reviews. The problem is that the need to provide input gets in the way — because people don’t value the process, they stop listening to your feedback. Here’s why people resist performance reviews. Not frequent enough — Bringing up issues that were long time forgotten is one of the biggest flaws of annual reviews. People look at their managers with an expression that says, “What are you talking about?” Or they ask, “Why are you bringing this up now?” It feels like there’s a hidden agenda. Addressing an issue that happened recently is more effective than one that happened six months ago. It makes the conversation more casual and less threatening. Too much emphasis on the individual — Performance reviews are focused on one person, rather than on the system. However, individual performances are shaped by a team. Research shows that top performers decrease their productivity when moved to another team. Similarly, Google has demonstrated that most low performers dramatically improve when moved to another team. If performance is the result of the group, why address it individually? A waste of time — Adobe managers were spending 80,000 hours on performance reviews. At Deloitte, people were burning close to 2 million hours a year on their performance process. For a process that people resist; rather than an investment in talent development, it’s a waste of time for everyone involved. If you can’t get rid of them, annual reviews need to be simplified. Managers are chickens — Regardless of how much training they receive, some managers don’t like telling people the truth. Sugarcoating feedback or blaming a bad review to someone else can harm the employee. Instead of trying to help people grow, some managers prefer to look good. The worst part? Employees notice when they are lied to. Reviews feel judgmental, not constructive — Accenture realized that 75% of the review process was focused on talking about the employee, rather than talking to them. Most review practices focus on telling employees how they need to change. People don’t want to be changed by others. Good feedback helps uncover one’s blind spots, not to be told what to do about them. The most important factor is lack of trust between manager and employees. Nobody opens up with the person who is “torturing” them. Building trust requires empathy. Managers should stop telling people what they need to do — help them find the answer instead. It’s better to be a good listener than to give advice no one will follow. The speed of change requires live feedback. To adjust to a changing scenario, people need input now, not in six months. On-going feedback doesn’t require daily or weekly meetings — The idea is to ease the pain, not to torture people more frequently. Providing spaces for reflection or asking people how things are doing and what they can improve gives employees ownership. Adobe implemented “Check In” — a system where employees and managers set annual goals and then regroup at least every eight weeks. They “check-in” for a real-time discussion on how things are going. Turn feedback into a dialogue — Feedback should come from anyone and to anyone. Remove the stigma of being judged. Build a mindset of accountability, focus the team’s energy on improving the game over and over. Feedback is about adjusting how they play, not to find someone to blame. Gap has replaced annual reviews by “Grow, Perform, Succeed” — a less formal and more conversational approach between managers and direct reports. These monthly discussions usually occur outside of the office. Cadence builds a culture of feedback — Asking or providing feedback on the go is more effective than structured performance reviews. Everyone can connect to the issue that needs to be addressed because it’s still fresh in their minds. 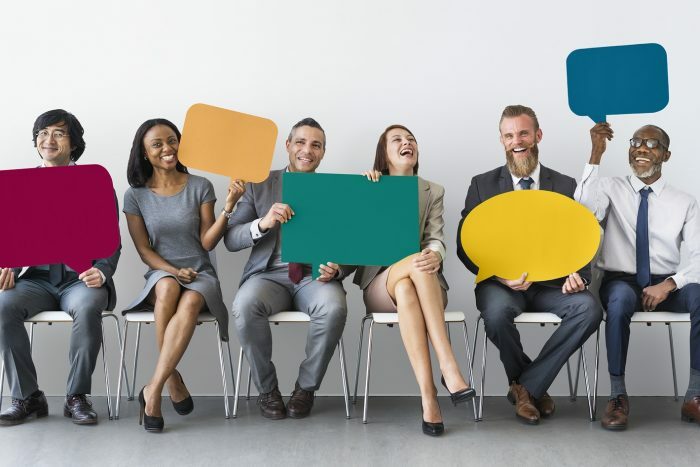 When people get used to ongoing feedback, it feels more human and less threatening — dialogue becomes part of the culture. Netflix believes that honest and simple conversations on a regular basis get better results than rating everyone on a five-point scale. Promote collective feedback. Organizations glorify teamwork but rarely encourage collective behaviors, as I explained here. Team retrospectives are a powerful way of providing feedback as a whole. A team retrospective is a pause — It’s a great way for the group to assess, reflect, understand, and adapt their behaviors. Usually, a facilitator leads the team through a series of prompts (questions, scenarios, visuals, etc.). Each person shares their answers with the rest, but the analysis is focused on a collective assessment, not on the individuals. The purpose is to identify what’s working, what can be improved, and how. Retrospectives improve your team’s game — Most of the times, the reflection is done around a particular project — teams meet to review how they managed it and what they can do better on the next sprint or phase. I also recommend having annual or bi-annual timeout gatherings to reflect on how the team can improve its game. Rather than reviewing a particular project, focus on the overall team dynamics. This is a more in-depth retrospective that deals with more emotional aspects — external coaching is highly recommended. Team retrospectives don’t need to be boring — Many people believe that this type of reflective practice is too serious and, sometimes, dull. The setup, space, food, etc. can help establish the right tone. Also, there are many exercises that we use to “persuade” people to share and speak up without feeling intimidated or being too logical either. Great feedback requires people to be human. The LEGO retrospective is a fun and stimulating activity to encourage group conversations. Participants are asked to create LEGO figures to express their feelings and ideas symbolically. Creating a safe space takes time — Like any new process, don’t expect magic results overnight. People prefer collective feedback to individual but, when offered the chance, they panic. Most people are not used to sharing feedback in front of others. It requires embracing one’s vulnerability and understanding that everyone is abiding by the same rules. You want your team to talk openly, not because they need a scapegoat, but because everyone is committed to turning the team into the best possible. Feedback is an amazing gift; especially when it’s unexpected. However, it requires the proper mindset to embrace frequent feedback. Feedback helps liberate the leadership gene within your team. Those who operate under a command and control approach find this hard to implement. However, to continually improve their game, organizations must promote the cross-pollination of feedback: let it come from anyone, anytime, and anywhere. Feedback is a two-way street. Let’s turn it into a gift, not torture.